A residence at mauna kea resort. Mark de Reus’ concept for the architecture reflected the client’s appreciation for ancient Polynesian and Indonesian cultures as well as modern art and architecture. A series of pavilions with high-pitched roofs (a nod to the way many of the banjars or village compounds of Bali have been built for centuries) served as a modern architectural interpretation while using a number of finishes indigenous to the tropics such as Ohia, Teak and Basalt. The six pavilions are connected by pathways of brushed Turkish limestone. 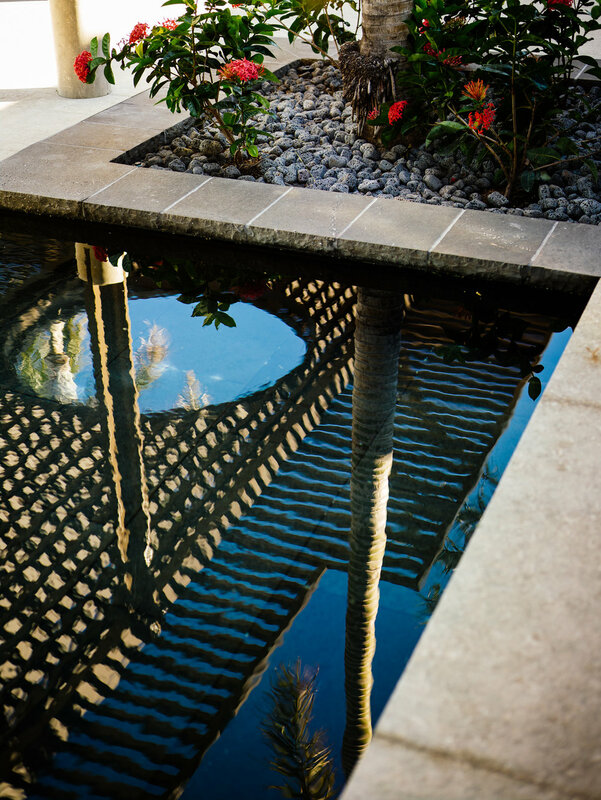 Water, a key element in the design, is always close by in the form of pools, or water features. The result is a quietly elegant background, well suited to the strong tropical colors that appear throughout the furnishings and landscape. Organized with formal structure, but relaxed into the hillside, modern tropical hipped roof pavilions are the most visible expression of the home's organization. 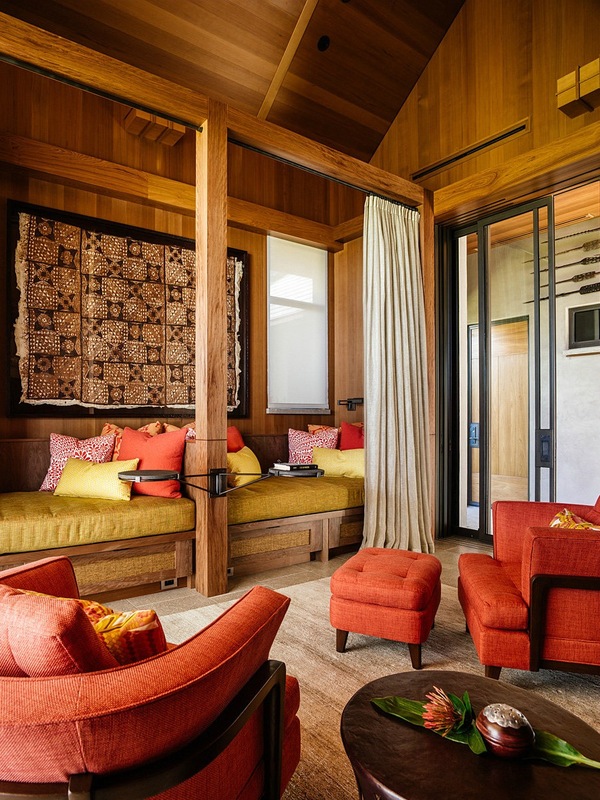 The experience of living amidst the pavilions was shaped with the play of asymmetry against symmetry, with rustic alongside elegant, and the drama of stone, water and metal elements integrated into the living experience. The Dining Hale “floats” in the center of a basalt basin that cascades into the swimming pool with 12’ high sliding bronze and glass doors between chiseled coral stone columns. 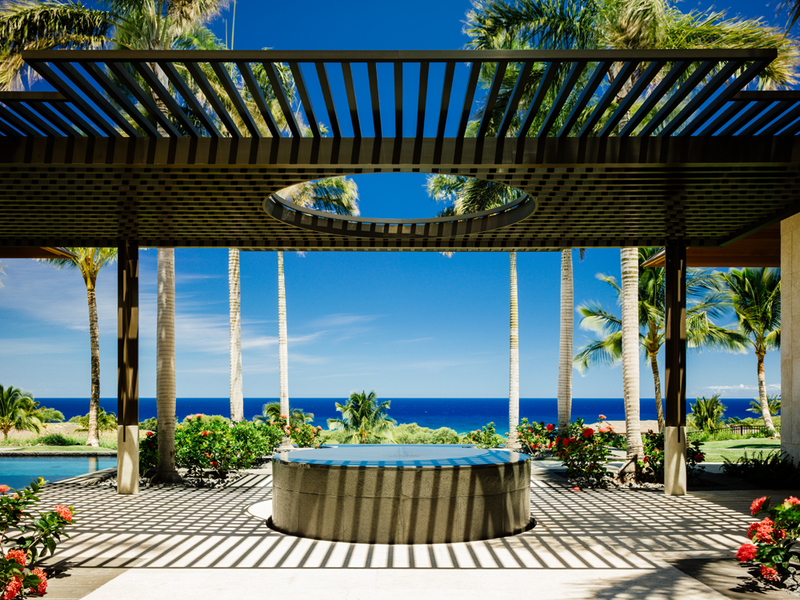 It is connected visually to the Living Hale by the strong geometry of a metal trellis, with a center oculus over a simple cylindrical water feature – the “well spring” of the home. 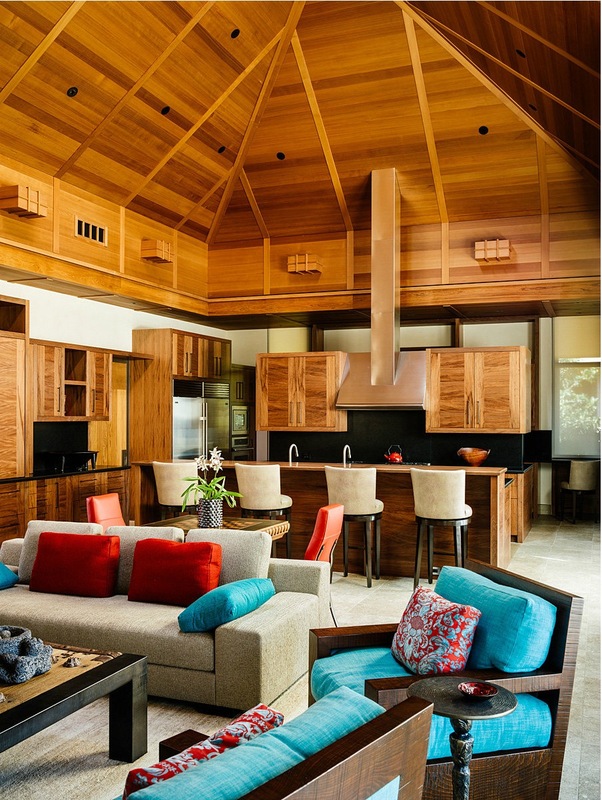 The furnishings are a combination of modern and organic forms, scaled to the proportions of the spaces and reflecting the relaxed nature of island living.